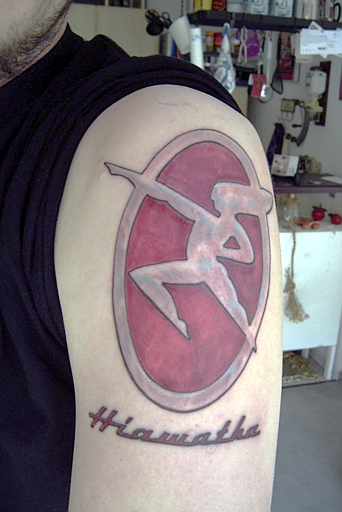 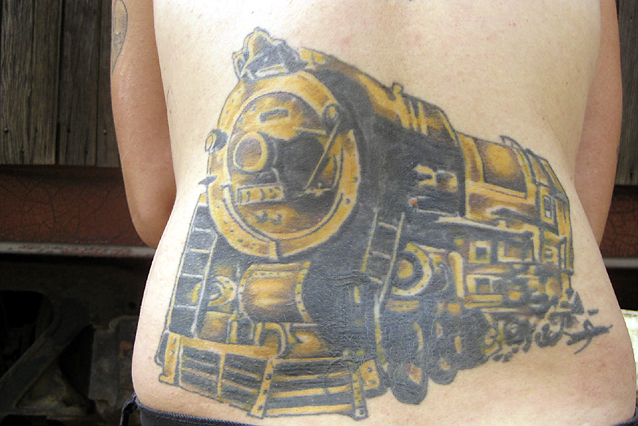 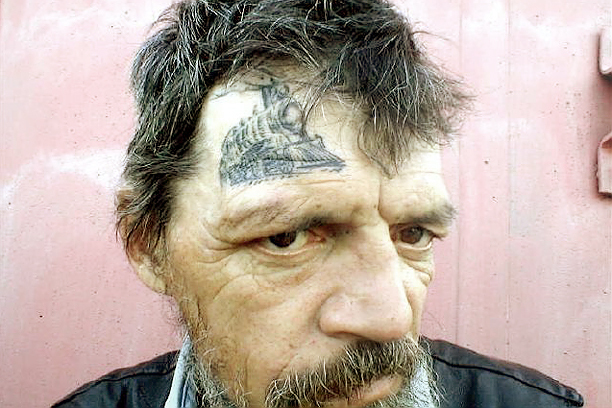 Sure, some railfans claim to be committed to their hobby, but how many have a steam engine tattooed on their forehead? 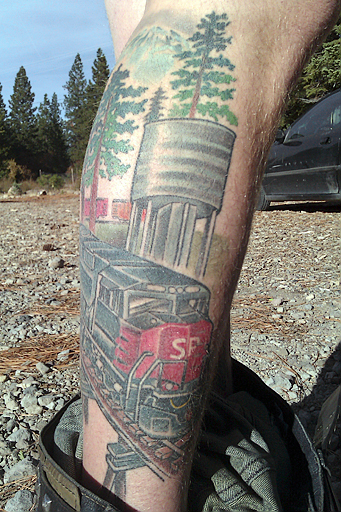 Quite a few friends, supporters, and visitors at Black Butte (including our "boomer" rail worker friends, migratory workers, and the random tramps who wander by...) have rail-oriented tattoos. 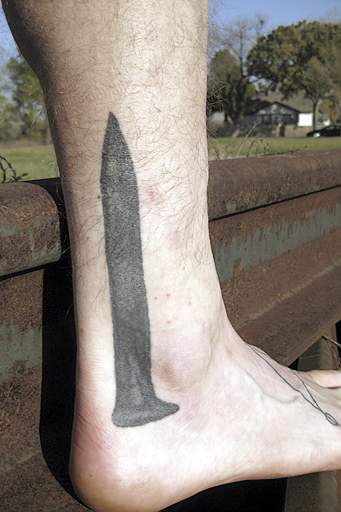 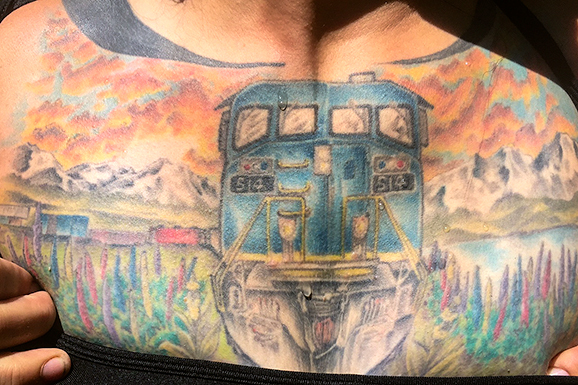 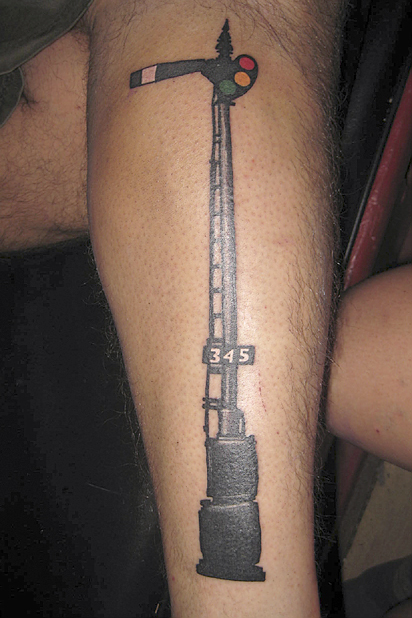 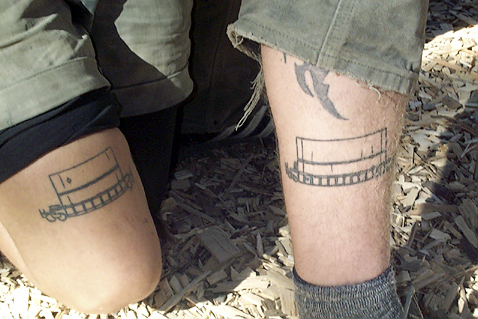 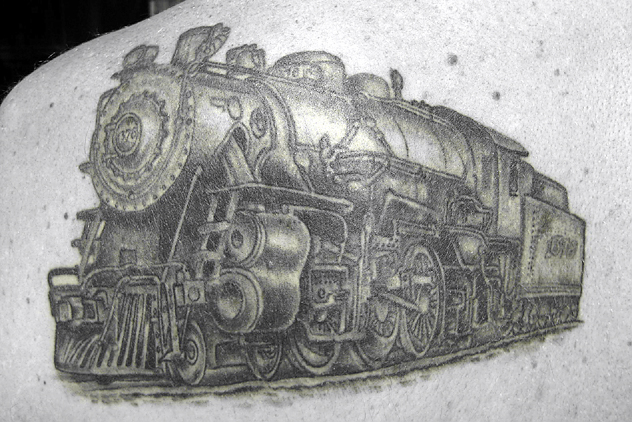 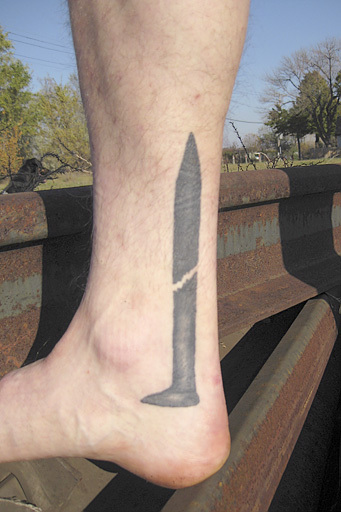 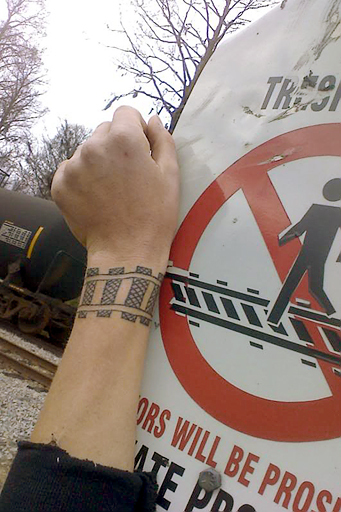 So we are starting a photo collection, the only one we know of, to document railroad tattoos. 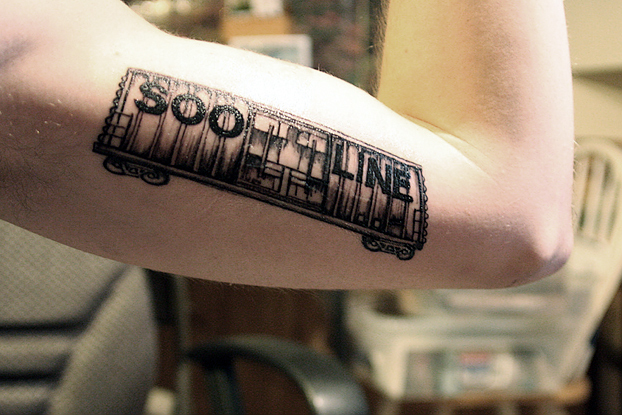 If you've got a good one, send it in to us. 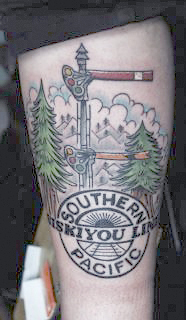 We'll post them on this page and may eventually put together a photo show or "zine" if we get shots of enough good ones.